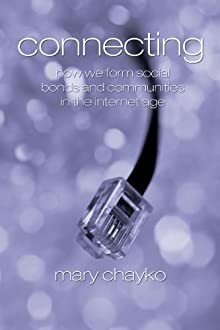 …to my website and the blog for my book Superconnected: The Internet, Digital Media, and Techno-Social Life (now in its second edition, Sage Publications). I’m a sociologist, professor and director of Undergraduate Interdisciplinary Studies at Rutgers University’s School of Communication and Information. My research is on the impact of the internet, and digital/mobile/social media, on social connectedness and social life. It’s fascinating to see and study people’s creativity and ingenuity as they use technology to build relationships, networks, societies and even their own selves. And it’s critical to consider the consequences of doing so, both beneficial and harmful. I had the good fortune to come of age with this topic when digital tech exploded in popularity, and I’ve been researching, writing, speaking, and teaching about our superconnected society ever since. You can hear me discuss my research and book Superconnected on the digital New Books Network and on Magic 98.3 WMGQ’s program “@CentralJersey.” You might enjoy the short animated video “trailers” I voiced describing the programs I direct at Rutgers’ School of Communication and Information — the Digital Communication, Information, and Media Minor and the Gender and Media Minor. And I give my thoughts on the future of our digitally connected societies in the video Globalization, Media & Social Change by Neal Bennett Productions. In my spare time, I swim, hang out with my family and friends, enjoy pop culture (sports, music, movies, TV), go to the beach, and read for fun, preferably on the beach. But my somewhat secret passion is music-making and recording. 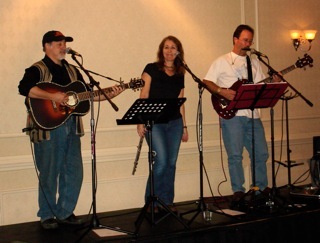 I’m a singer and flutist and have joined with two of my best friends, Corey Dolgon and Jim Pennell, to express musically our hope for a more peaceful and just world. Our CD is displayed on the bottom left, and you can listen to four of our songs on the “Music” page. Corey and Jim are both sociologists, working at, respectively, Stonehill College and the University of Indianapolis. They’re gifted singers, songwriters, guitarists, and sociologists, and they’re even better friends. Well, there’s more, of course, but this is enough for the home page. Click around the site, read the blog, check out the articles, books and music, follow me on Twitter @MaryChayko and on LinkedIn.